Dealing with a workplace injury can affect all aspects of your life. You may face surgeries and rehabilitation. You may not be able to work for a period of time. You probably have concerns about paying for medical treatment. And you are likely confused and angry when your employer will not provide the compensation and benefits that you deserve. Now is not the time to give up hope. Now is the time to contact an experienced and aggressive legal advocate. At Davie & Valdez, P.C. we fight for the rights of injured workers to receive financial compensation and benefits. Workers' compensation and nonsubscriber claims in Texas and New Mexico are highly complex. So while it is important not to face this fight on your own, it is also important to find the right attorney for the job. When you are injured at work, personal injury law and employment law collide. Our law firm is one of the very few in the area to have extensive experience in both of these practice areas. In fact, one of our partners is board-certified in Personal Injury Trial Law by the Texas Board of Legal Specialization, and our of counsel attorney is board-certified in Employment Law by the Texas Board of Legal Specialization. Together, our award-winning lawyers have more than 70 years of combined legal experience and have fought work injury claims on both sides - so we know how the defense will think and act. We have hundreds of successful settlements and verdicts to our name and most importantly, we believe in exhausting all legal means necessary in order to help our clients secure the best possible result for their specific circumstances. 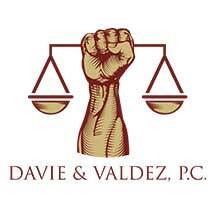 If you have been injured in El Paso, Texas; Las Cruces, New Mexico; or a surrounding area, contact Davie & Valdez, P.C., immediately. Let us help you get the compensation you deserve.